Whitney Houston has launched a new line of candles, and a portion of the proceeds go to charity. Currently in production on SPARKLE, Whitney spent the last few months working with her manager and sister-in-law, Patricia Houston, inspiring her to develop a scented candle line. The candle line, called MARION P (which is the nickname Whitney has for her sister-in-law) consists of 5 scents inspired by a trip to Israel they took several years ago. This dual candle infuses the air and nourishes the skin. It’s actually a 100 Kosher Soy Candle that melts into Shea Butter that you can moisturize into your skin. 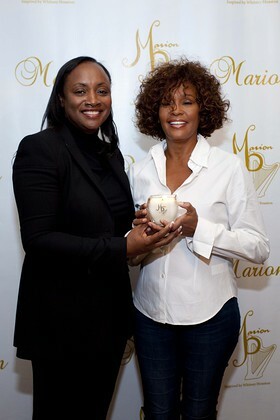 The candles are available on MarionPCandles.com and also through Whitney’s website. A portion of the proceeds will go to Teen Summit. 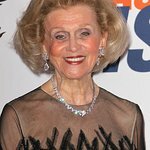 In 2007, Patricia started Teen Summit through The Patricia Houston Foundation, an organization to “Rebuild, Restore and Repair” the lives of young adults. Teen Summit receives a portion of the profits from Celebrity Consignment and every October, Patricia hosts a 3 day mentoring event in Shelby where thousands of teens from the area come to hear speakers, and participate in workshops.